The beach is beautiful! 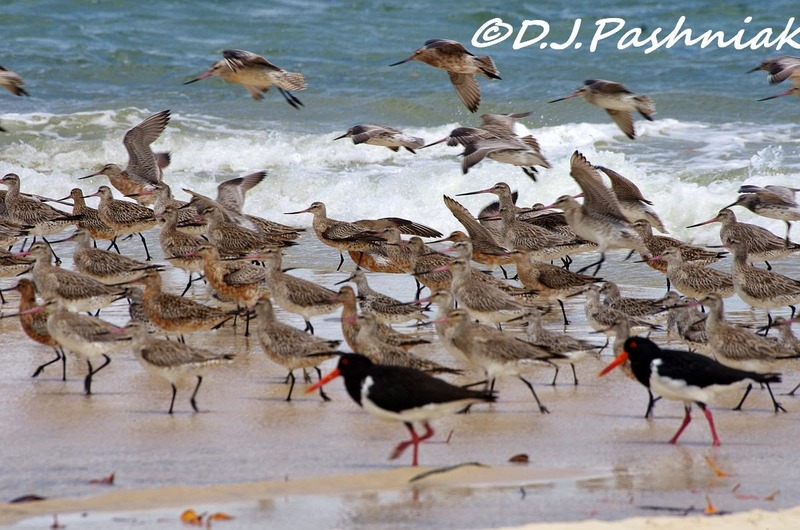 And I love all the birds, the terns, godwits, oystercatchers and the pretty Great Knot.. Gorgeous collection of bird shots. Have a happy day and week ahead! love the russet coloring coming in! and the terns are always neat! What a lovely place, Mick!! I do love the water!! And what great collection/variety of birds!! Wonderful captures for the day!! Have a great new week!! 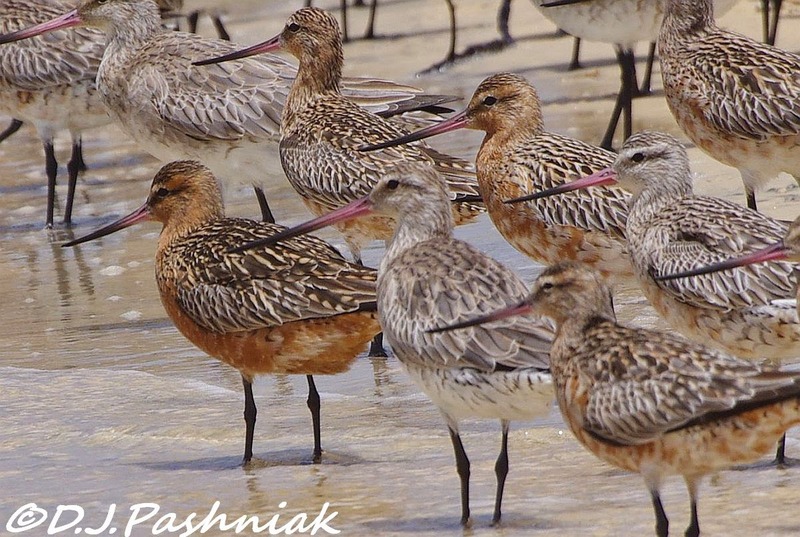 I like the one of the godwits all looking in the same direction. Wow! 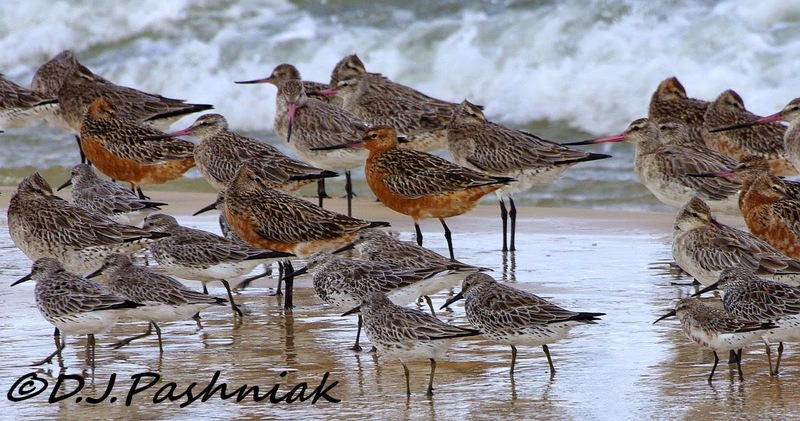 What a place and so many beautiful birds ~ Great photography! Whoa! that's a lot of birds. Great shots. Quite a spectacle while it lasted. Great photos! Hi Mosura, nice to have you back to blog-land! I tried to comment on your page and blogger won' let me! Sorry!! Thanks for letting me know about the problem with commenting. It took me a while but I figured out where the problem was. Would be amazing to see so many birds in one place. Terrific shots! 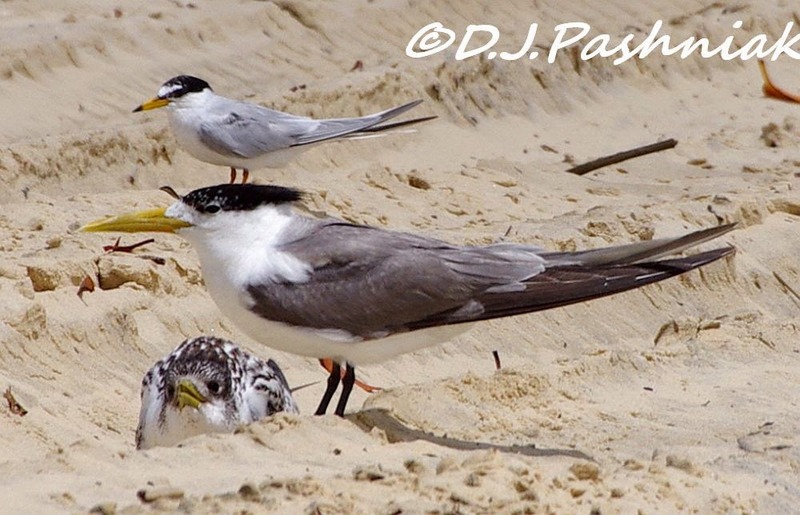 Great to see the size comparison between the Littern Tern and the Crested Tern. There is quite a difference. Really great images too. oooh terns! cool. we have fairy terns here and unfortunately they're highly endangered. 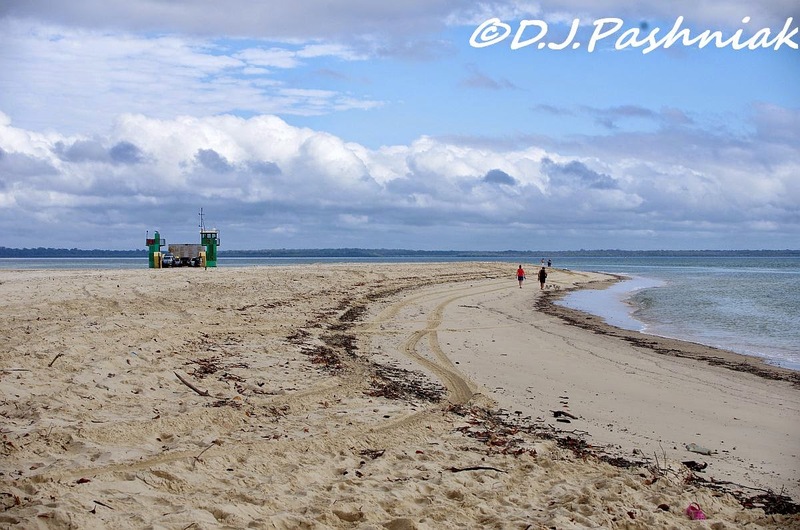 There are various areas around the sand dunes where people and animals aren't allowed to go near cos of their breeding. Great morning out at Inskip great lot of birds. Lovely photos of these beautiful birds! The average Joe doesn't know or care how they should behave around birds. I don't think many realise that birds have eyes and ears and that to most birds a human is a dangerous predator. The aftermath of the storms gave you some great opportunities amongst all those birds. 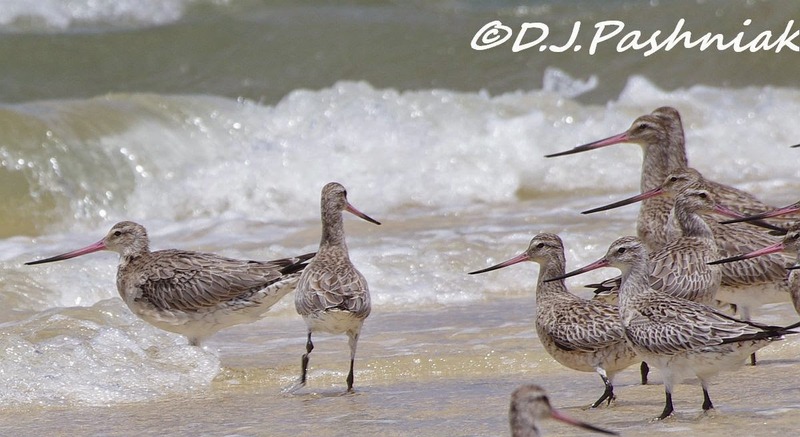 The Bar-tailed godwits are in a good mix of plumages for birding and photography. 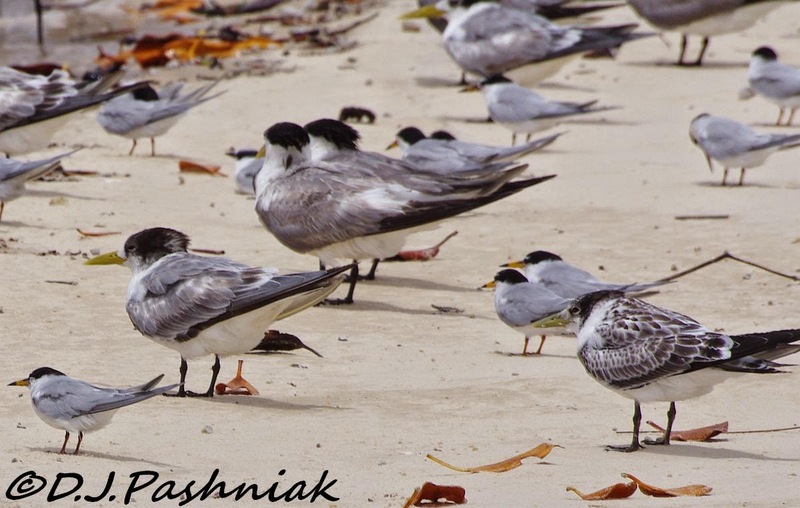 Great comparison shots of the terns - the Crested looks huge against a Little Tern. Shame that I rarely see Little Tern now as they have declined over here. Great to see all the birds looking healthy as they gain their breeding plumages. I guess it won't be too long before many of them head northwards. Great series of images. 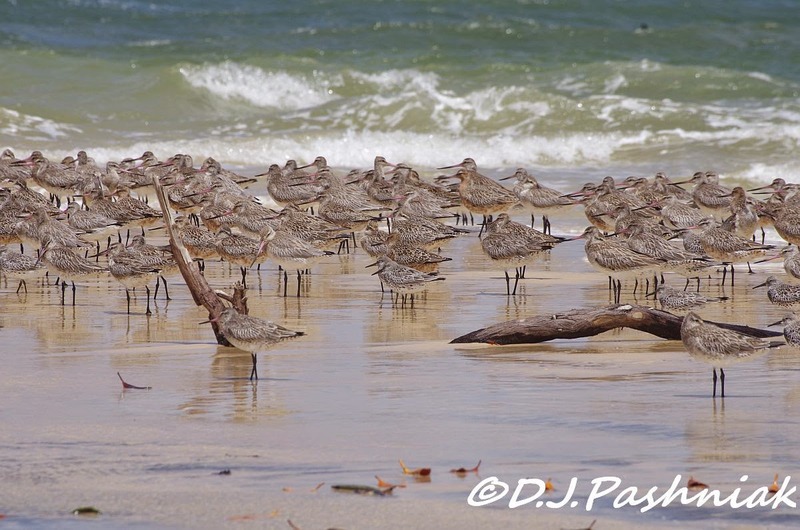 Well you got some great photos of the shorebirds even if the tourists came and took selfies. 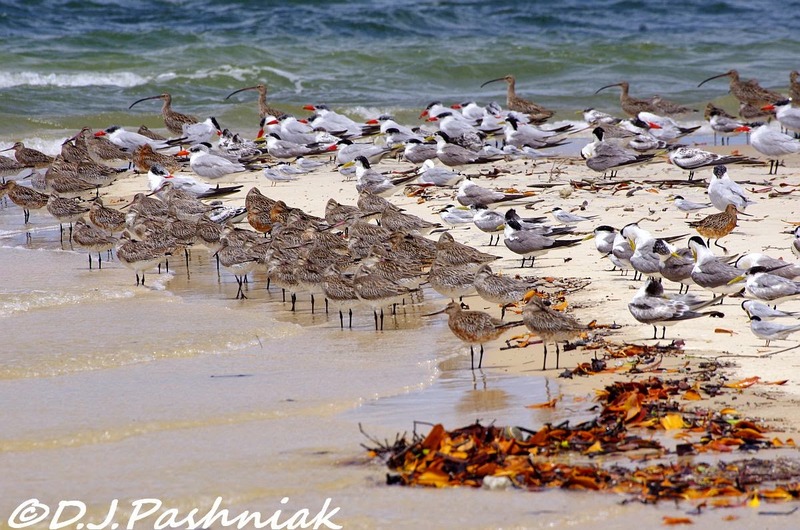 You have a great number of shorebirds there. I liked seeing the terns and all the other birds. Your photos are so crisp and clear and close up!! Excellent. Wonderful serie, so many details to study closer! Great photos! The third shot of the birds with the splashes of color here and there is my favorite. Lovely shots of the terns, too. Superb images of all these birds. so many great birds and so colorful they are. Love to see it. Thanks for sharing the view. 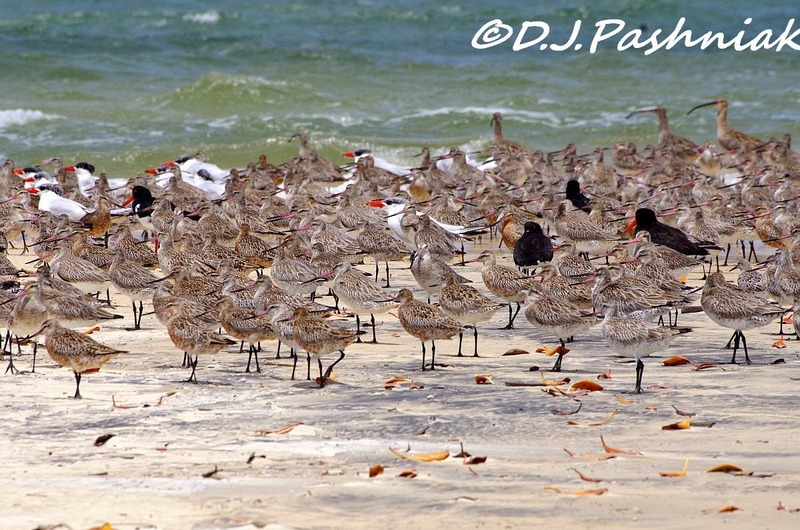 These shots make me smile with all the different birds and the sheer number! Wow Mick, those shots are incredible. A shame a lot of the birds were frightened off but at least you got a lot of shots in. Had a little smile at the juvenile still wanting to be fed, just like our magpies here - they try it on! What a super place to see tons of birds! 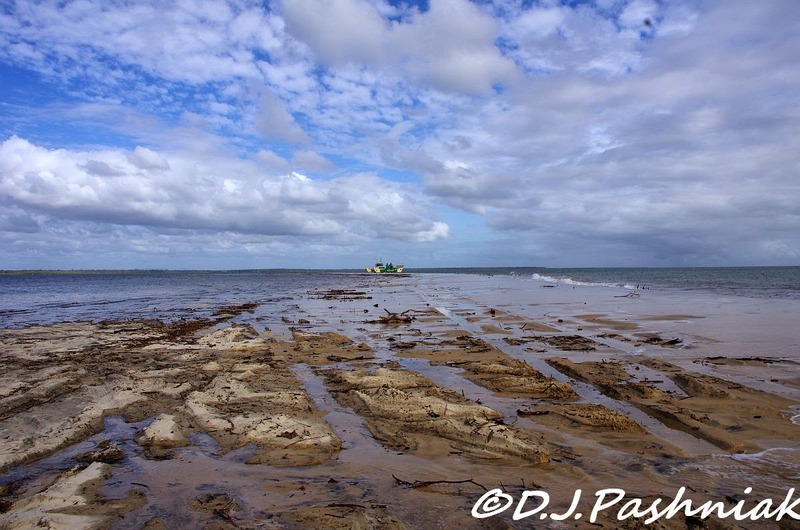 It's amazing how much storms can recreate the landscape.